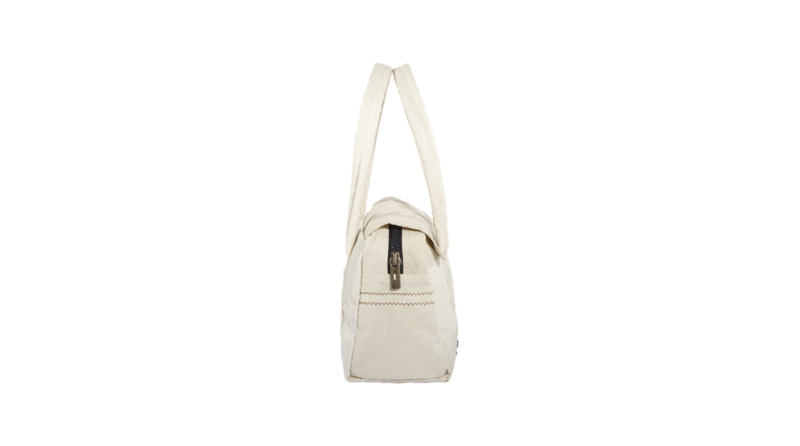 Sophisticated carrying straps made of sail cloth with core of cotton. Wide zipper for bag closing and additional cover of sail cloth with snap buttons. 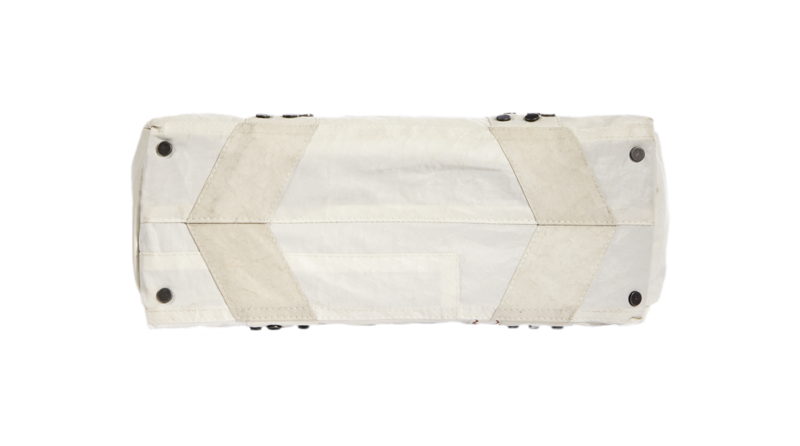 Interlining made from sail cloth. 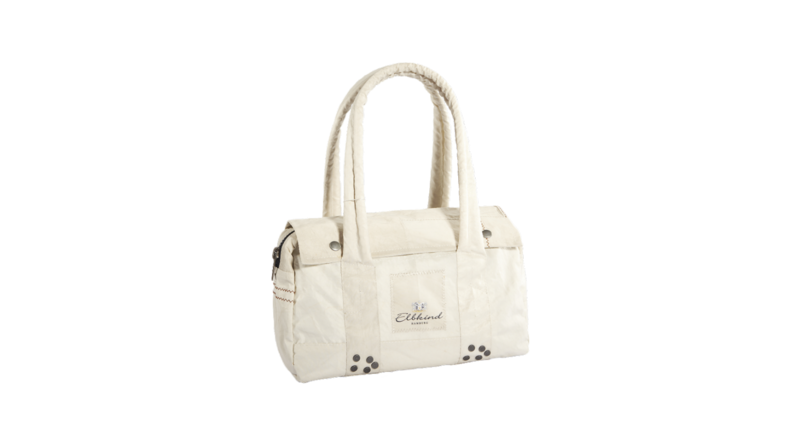 Original sail seams and decorative rivets at front-, back- and bottom side provide the finishing touch and the unique look of the bag. 1 main compartment, 1 inside pocket with zipper. 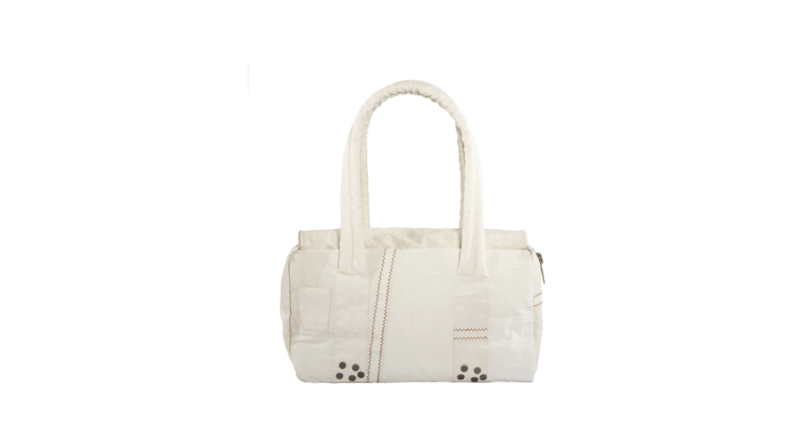 Handbag and shoulder-bag unified in a unique designer bag made from 100% recycled sail cloth.